Eamonn Holmes has shown himself to be one tough cookie when faced with Oxfam’s Fundraising Director, Tim Hunter. Mr Hunter appeared on ITV‘s This Morning to discuss the sexual misconduct allegations made against Oxfam staff members. The scandal led to Deputy Chief Executive Penny Lawrence resigning after she felt the non-governmental organisation (NGO), had failed to respond adequately to the serious allegations. Eamonn had some tough questions in store for Mr Hunter and accused him of attempting to smear other charities. @EamonnHolmes Well done Eamonn for putting Oxfam on the spot. What’s happened over the last few days has been really shocking to people within Oxfam and many of our supporters. It’s revealed things we’re deeply ashamed of, we’re very sorry about, but it raises really serious questions about not just how Oxfam works but how other charities operate. Wait a minute, wait a minute. This is like the football league, isn’t it? Your’e coming in here like a football team saying ‘well, it’s not just us, don’t be stopping giving money to us and this other lot will benefit as a result of this’. It’s all competition, it’s a big business! That is not what this is about. The real scandal of what this is about is, when I was a child at primary school, we used to be given envelopes and we were asked to give our pocket money to Oxfam because Oxfam was in Biafra, Oxfam was there leading the charge. And I put it to you: this is not about money for you or for them or anything else. Because you have not only taken people’s money, you have taken people’s sympathy and their whole caring attitude, their distress and you have messed it up. You have betrayed them and that’s the mess, so stop blaming it on other charities. Unless you’re saying this goes on in other charities as well. Is that what you’re saying? Todays discussion with Oxfam, Eamonn, you were spectacular, congratulations on being an interviewer who is unafraid of telling these people EXACTLY how it is. So many times we see people let off on interviews. Not this Oxfam guy. He tried to swerve it but Eamonn’s too good for that. 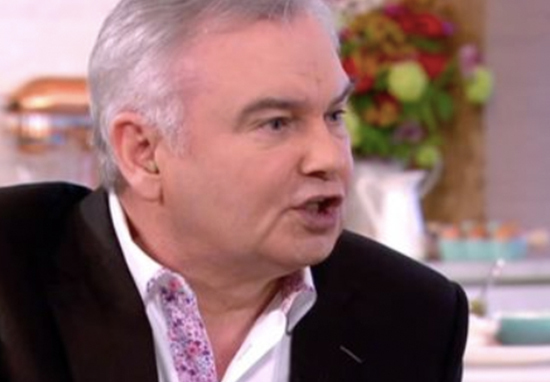 Maximum respect for #Eamonn Holmes ripping into #Oxfam on #ThisMorning. He ain’t holding back. Go @EamonnHolmes @thismorning so many times we see people let off on interviews. Not this Oxfam guy. He tried to swerve it but Eamonn's too good for that. I think what went on was absolutely appalling, I think it’s right Oxfam should be held to the highest possible standard. We are ashamed of what happened. We apologise for what happened. We want to improve, we want to put things right and want to be able to explain to our supporters. Go Eamonn! He didn't deserve an easy interview and you didn't give him one! I'm sad to say that after 18 years of monthly donations, I've stopped my standing order to Oxfam as I feel that I can no longer support this charity. Thank you for telling him how most of us are feeling. So much respect to Eamonn for getting across so many people's feelings! At school we were given small Oxfam boxes for change and that was mostly half of lunch money or any pocket money given! This has put me off giving Oxfam any more money! They don't deserve it! Oxfam have now announced new measures for preventing and handling sexual misconduct cases.